What is Super VOOC charging? Oppo has upgraded the fast-charging technology found in their latest smartphones from VOOC to Super VOOC. Here's what you need to know. Super VOOC Charging is a battery technology found in Oppo's smartphones that allow for faster recharging than would otherwise be possible. Where other fast-charging technologies use higher voltages to achieve faster charging speeds, VOOC relies on higher amperage. As of October 2018, Super VOOC currently offers the fastest fast-charge available on a smartphone. What smartphone devices feature Super VOOC charging? 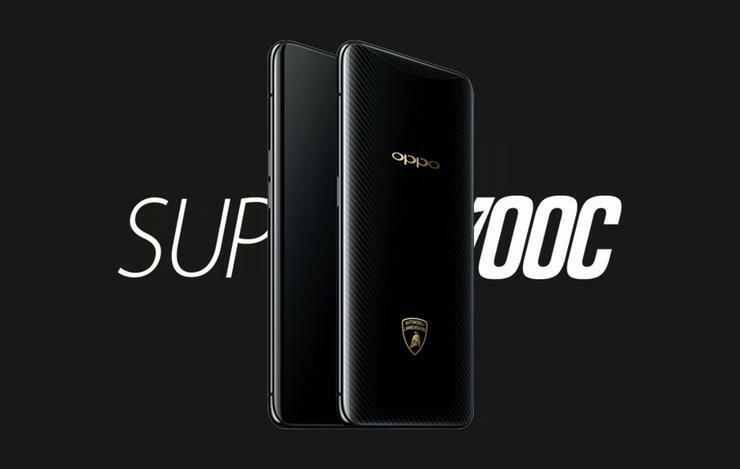 The supercharged and Automobili Lamborghini Limited Edition of the company's Find X smartphone are the first two Oppo devices to feature Super VOOC charging. The company say the supercharged Oppo's Find X, which features a 3400mAh battery, is able to charge over Super VOOC in just 35 minutes. Are there any other differences between VOOC Charging and Super VOOC Charging? Yes. Where VOOC Charging required a Micro-USB cable, Super VOOC uses USB Type-C. This change brings the charging technology in line with most other 2018 smartphones. What's the drawback to Super VOOC? The primary drawback to Super VOOC is that you can only use it with the bundled Oppo charging brick. You'll only be able to get the speed gains made possible by Super VOOC when you're charging using Oppo's proprietary hardware. SuperVOOC doesn't kick in if you're charging your smartphone off a powerbank or PC. If you lose your OnePlus or Oppo-branded charger, you'll need to replace it or be stuck with regular charging. How much faster is Super VOOC Charging than VOOC charging? Again, Super VOOC uses a suite of patented technologies and a bi-cell design to fully charge the Find X in just 35 minutes. By comparison, regular VOOC allows the R15 Pro to be charged from null to 50% in just 30 minutes. A full charge takes approximately 90 minutes. Read more Oppo Find X review: Damn. Obviously, this represents a significant improvement. VOOC can charge an Oppo device to half in 30 minutes. 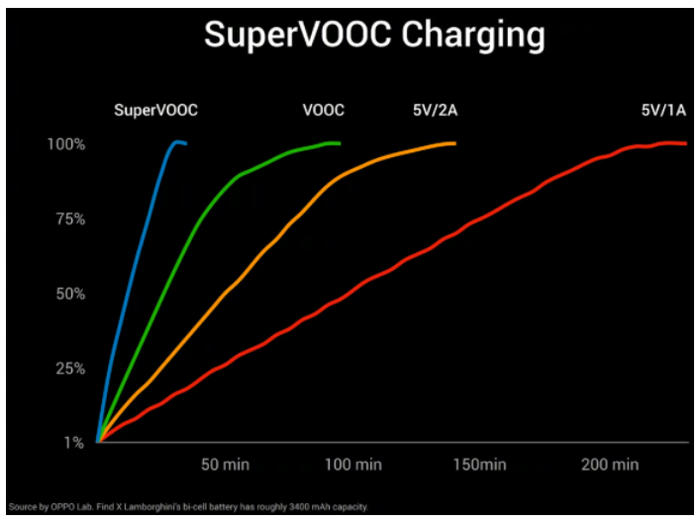 Super VOOC can charge one to full in almost the same amount of time. Is Super VOOC charging available in any non-Oppo smartphones? Sort of. While no other smartphone brands offer Super VOOC or VOOC Charging, Oppo have licensed the charging technology to OnePlus. For OnePlus users, VOOC has been rebranded as Dash Charge. The differences here are almost-entirely surface level. If you own a OnePlus smartphone, you can use it with an Oppo VOOC charger to get the same benefits as you would with the Dash Charger and vice-versa. There's been no indication as of yet as to whether or not future OnePlus smartphones will offer a similarly-rebranded version of Super VOOC. Stay tuned.